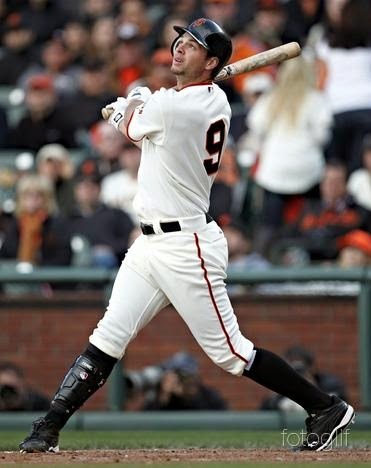 The San Francisco Giants will be without the power hitting first baseman Brandon Belt for at least the next month, after Belt broke his thumb in last nights contest vs the Los Angeles Dodgers. Pitcher Paul Maholm hit belt in his 1st AB, you can watch the video here. Joaquin Arias filled in for Belt the rest of the game. Belt is hitting just .264, and even though he has 9 home runs, he has just 18 RBI. The Giants signed Mike Morse in the offseason and it looks like he will get the majority of playing time at first, which will allow Gregor Blanco some playing time in left field.